ANIMAL NATION DOESN'T KNOW ANYTHING. 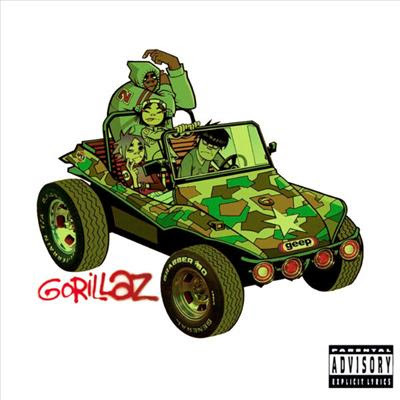 : Albums of Influence - Gorillaz' "Gorillaz"
Albums of Influence - Gorillaz' "Gorillaz"
The first album the Gorillaz put out is still my favourite release of theirs. I love the down-tempo vibe that was created in part by Deltron 3030's very own Dan The Automator. Alongside Dan The Automator is 'Blur' frontman Damon Albarn, who's voice sounds infinitely better here than it did screaming "Waaahoooo!" on 'Song2'. Two of the tracks also feature Deltron himself, including the hit single "Clint Eastwood". For the most part the Gorillaz' band members change from album to album, so it's easy to accept that each record is essentially a one-off, and won't resemble any of their other output. The same idea makes each record seem more special in the sense that the band doesn't just try to recreate their hit songs with any sort of formula like a lot of mainstream bands tend to do. Download this album for free here, then head down to your favourite local record shop, and buy Demon Days. It's pretty groovy too.